covers to our webstore. The Milk Snob really is the cover that does it all. The innovative and practical Milk Snob cover appeared on Shark Tank and was very well received by the Sharks. The Milk Snob was born of the belief that parenthood should be functional and fashionable. As a mother of three, Melanie Disbrow’s goal is to continually innovate designs that are simple, stylish and modern. Melanie has developed a flexible, versatile, and wind resistant cover for car seats, trolleys, and breast feeding. The stretchy material makes it easy to put on any brand of infant capsule. 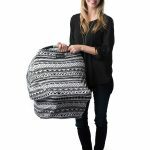 It can also be left on while the capsule is attached to the stroller, providing sun, wind, and onlooker protection to baby. The material is extremely soft allowing for comfort while breastfeeding as well as full 360 degree coverage. In the 18 months prior to featuring on shark tank, Milk Snob had $1.2 million is sales. All these sales were purely online and were the result of social media referrals. This helps demonstrate the popularity of the Milk Snob amongst mums in the US. This business was already on a positive path to success, however, at the conclusion of the Shark Tank appearance, Melanie secured a deal with Lori, which will see the further growth of this great brand. 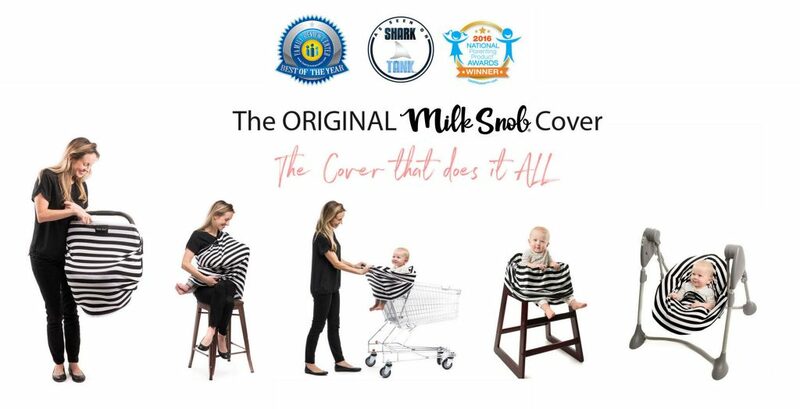 Since airing on Shark Tank and due to the viral popularity of the product, it wasn’t long before Australian mum’s were wanting to purchase the Milk Snob cover. We are pleased to offer this product amongst our breastfeeding range and will continue to add new styles as they become available. From Melanie’s family to yours – Enjoy!